A year ago I couldn't fill one sketchbook, now I am filling multiple sketchbooks at once and loving it! I currently have small small square format Handbook sketchbook that stays in my bag and sketches my life out and about in the UK. 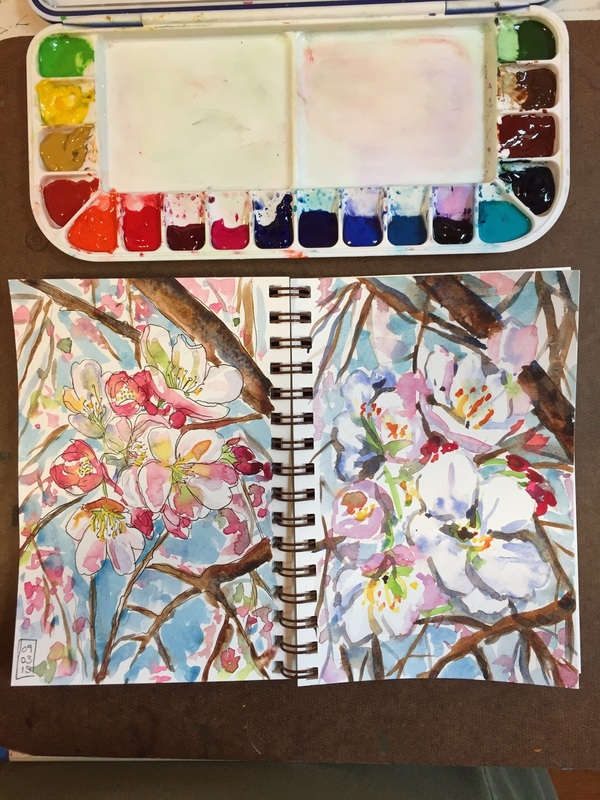 And for in the studio I have a large inexpensive book that doesn't take ink or wet media well that I like to use colored pencil in as well as a small wire bound watercolor sketchbook. This slows down the rate at which I consume each book which in turn takes off some of the pressure and allows me to enjoy the process of filling them rather than the final product. This is about as Zen as I ever get.